I work with second hand clothes, and twice a month we get to buy stuff very cheap. This time, among other things, I bought a bag filled with goodies I will use to chunk my chunkies! 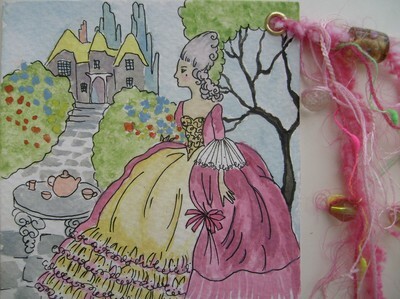 The blue/gold ribbon on the left will be used on a bunch of Marie Antoinette chunkies I´ll make for a swap on Marie Antoinette Mail Art group. For the chunkyness, I braided ribbons and fibers, and added some beads as well. 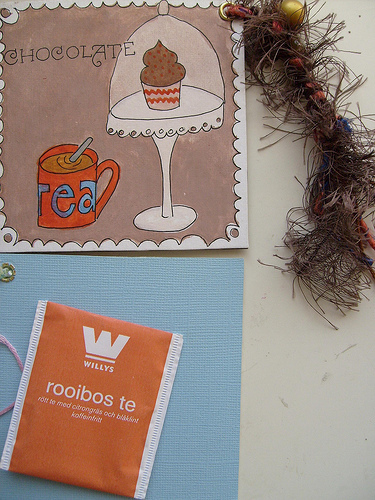 On the last page, you can see the backs, the tea envelope contains a tag with my info. 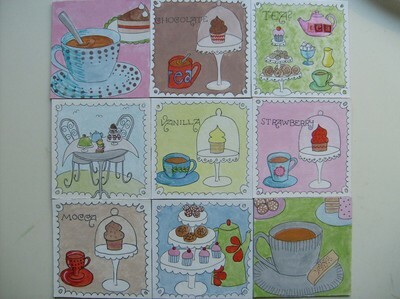 I´ve completely finsihed all of my Tea Party chunkies, fronts, backs, chunk - all of it. Feels rather good, since those pages have been lying around forever. 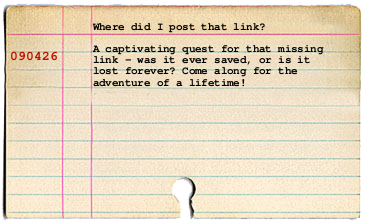 All I have to do now, is to await the arrival of the rest of the pages, enjoy the goodness, and then swap them out. I do love to host swaps! 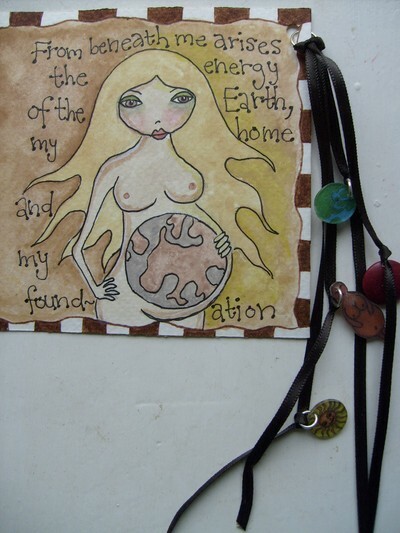 Talking about arriving pages - I´ve recieved several of the Chunky PAT pages, and they are all lovely, and some of the participants have sent extra pages for me - so very thoughtful. 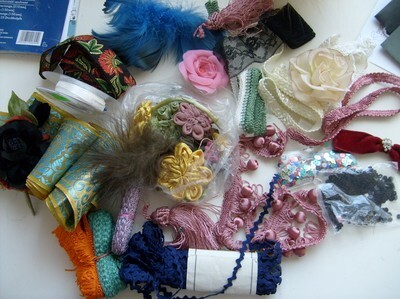 But I noticed just now, adding a page to my Marie Antoinette chunky - it´s getting rather fat (yummy! ), and the rings I´m using to bind it are getting a bit too small. And then consider this: I have at least 20 pages waiting to arrive for my book... I need bigger rings! Because I do want my book to be very fat and wonderful, I want all of those pages bound in one book. I also love dymo labels, and I wish I had a dymo maker. If you want the look on your computer, this is a great place - you can make labels with all sorts of fonts, both classic dymo, and lots of others. Got to love it! You can make them in different colours, I´ve made several in plain b/w and printed them, and used them on the backs of chunkies. And very pretty do they look! 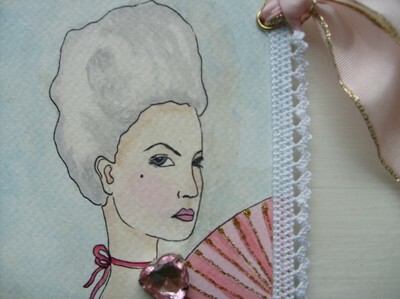 For the first time in weeks, I actually got inspired, and I painted a Marie Antoinette page for a trade this morning. I´m really happy with it though - I´d like to keep it for myself, so I think I´ll make one for me as well. 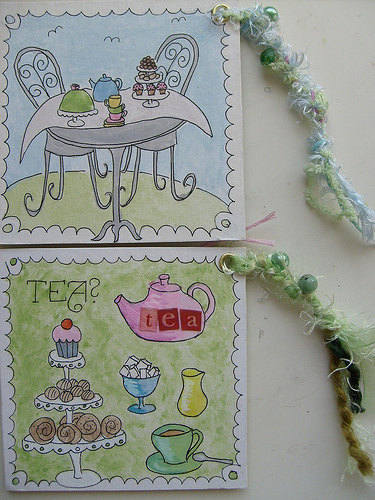 I also pulled a tea party marathon last night, painting the rest of the pages for my Tea Party swap, now I just need to work on the backs, and make the chunky part. 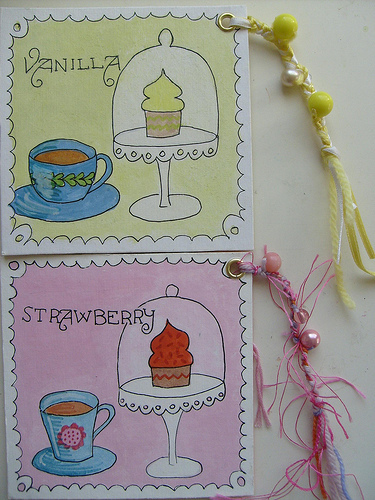 I wanthed pastels and a bit of whimsy - I think that worked out rather well! 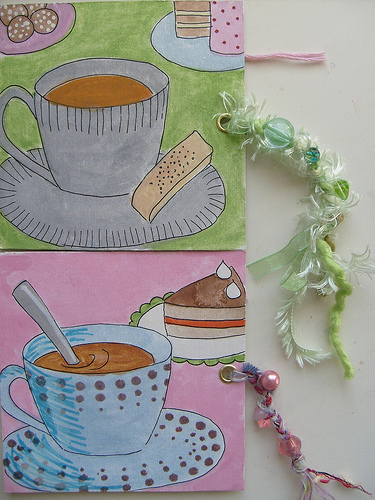 I can´t seem to get the energy to get inspired to paint - I have seven Tea Party chunkies to finish, but in the evenings I´m to tired, and in the weekends, all I want to do is nothing. I´ve just started working after a while of unemployment (don´t cheer just yet, it´s not a real job...), and I´m not quite used to it yet. 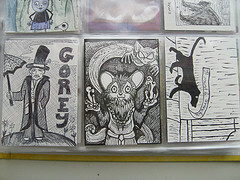 But - I´ve recieved lots of pages, both from the Chunky PAT, the Tea Party swap, and personal trades. And I´ve recieved RAKs from some very generous and kind fellow AFA:ers. Since I work full time since a week ago, I don´t have the time or energy to paint much, so I really look forward to Easter. 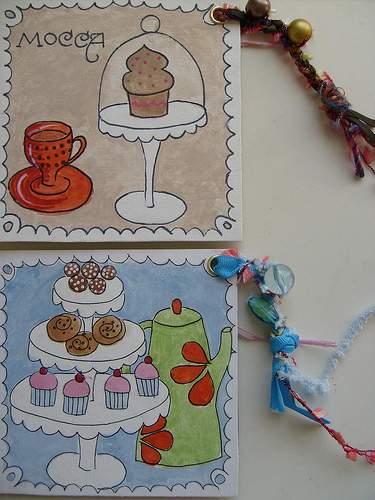 I have all of the pages for my Tea Party swap drawn up, waiting to be coloured, so I know what I´ll be doing this weekend!